Today in my A to Z trip through December, we are on L! To check out the earlier posts, click here! L is for Local! 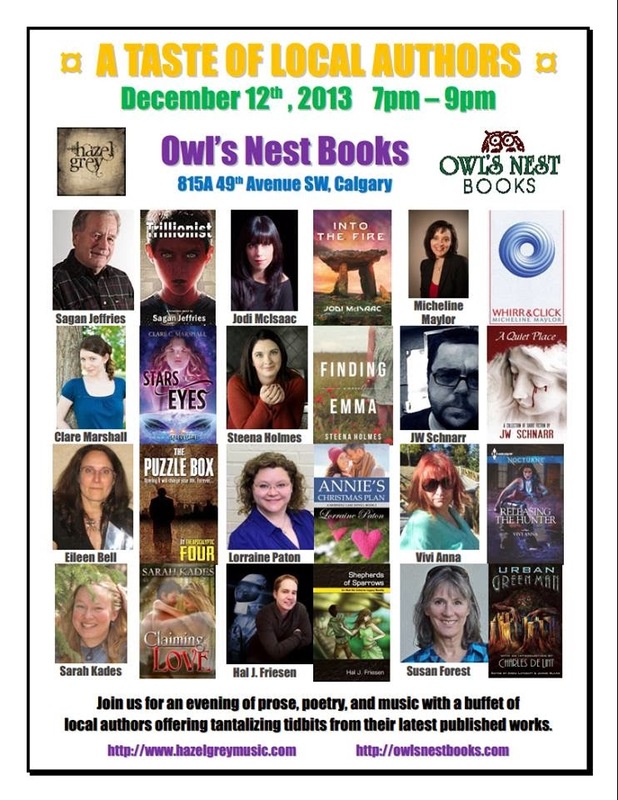 There is a great local writing community in Calgary. I belong to the Alberta Romance Writers' Association, where I've learned so much that I didn't know I needed to learn! And, this past summer, I participated in the When Words Collide Conference, which has Diana Gabaldon coming in 2014! Even tonight I am doing something local: A Taste of Local Authors! I am lucky enough to be friends with author Sarah Kades who told me about this exciting evening! 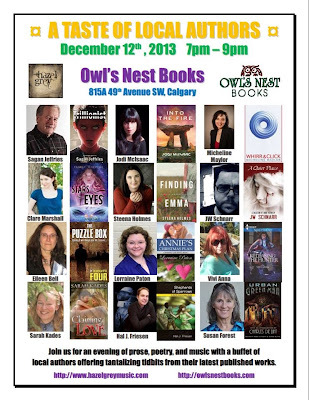 If you are in Calgary, come out to the Owl's Nest Books and Gifts! Good luck Lorraine. Devin's Second Chance and Annie's Christmas Plan are both excellent stories to discuss.